A couple of months ago I was asked to create a few upcycled craft projects for Smart Retailer Magazine . 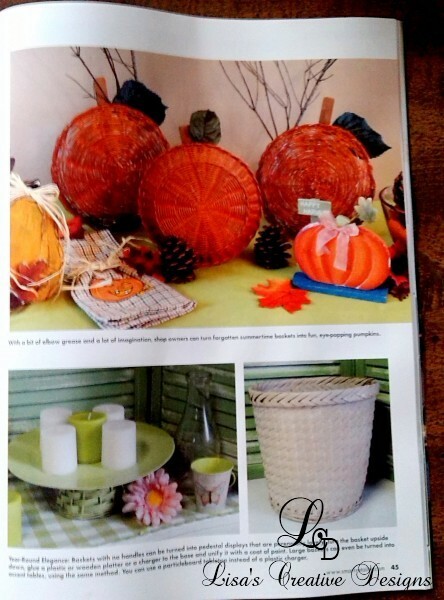 The theme of the article was creative ways to use baskets in your store displays. 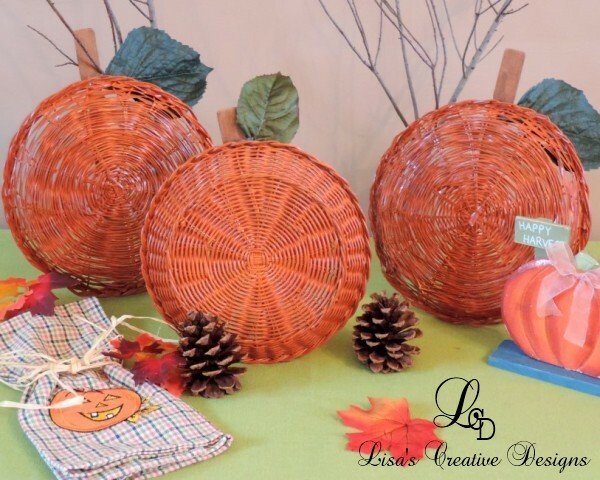 Today I want to share one of those projects and show you how to create an Upcycled Basket Pumpkin Patch to add to your Autumn inspired decor. 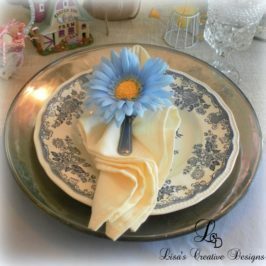 I will also share some other Easy Fall Crafts that caught my eye while scouring the internet. 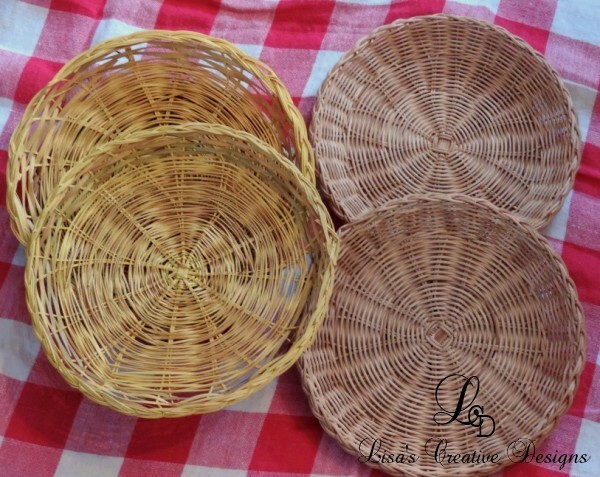 To create your basket pumpkin patch you will need to find a few round, flat baskets, the kind that are used to hold plates at picnics and such. I found a whole bunch of them at my local thrift shop. Spray paint the front and back of each basket orange. Hot glue a paint stick to the rim of each basket right down the center, creating the “stem” of each pumpkin. Make sure the stick is flush with the bottom of the basket. You may have to cut it down. Paint each “stem” brown and let it dry. Hot glue a large hot leaf to the stem. To make the pumpkins stand up, hot glue the back of the picture frame to the paint stick.  You can trim the sides of the backing to give it a more finished look. When you are finished you will have a set of cute upcycled pumpkins to create your own little pumpkin patch! 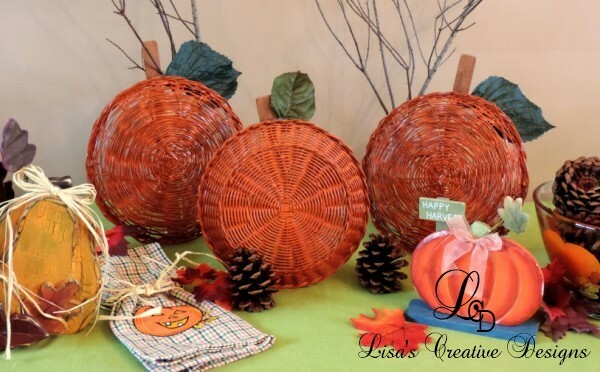 Although this project was created with shop owners in mind for display purposes, you can use your upcycled basket pumpkin patch as a wonderful vignette or centerpiece for Halloween or even Thanksgiving tablescape. Tuck in some branches and pinecones and you are all set! Here is a little peek at the article from magazine. 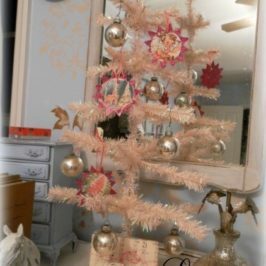 If you liked this little upcycled basket pumpkin patch crafty project, wait ’til you see what you can create for Christmas!!! I want to thank the folks at Smart Retailer Magazine for giving me this opportunity! Fall is a great time for making crafts. The weather is cooler and that always seems to renew my energy. 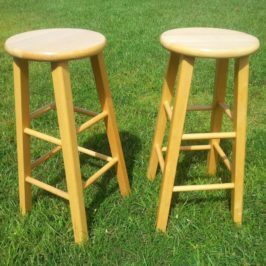 I found a few more easy DIY Fall crafts while scrolling Pinterest. Here are a few of them that caught my eye. Indian corn is plentiful in Autumn. You can usually buy a few bunches at your local grocery store. I love this wreath made entirely of Indian corn. 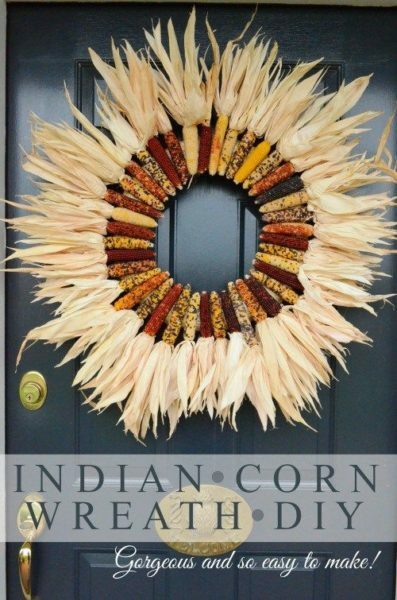 This beautiful DIY Indian Corn Wreath would look perfect on your door through Thanksgiving. You can get instructions on how to make your own wreath at Stone Gable Here. 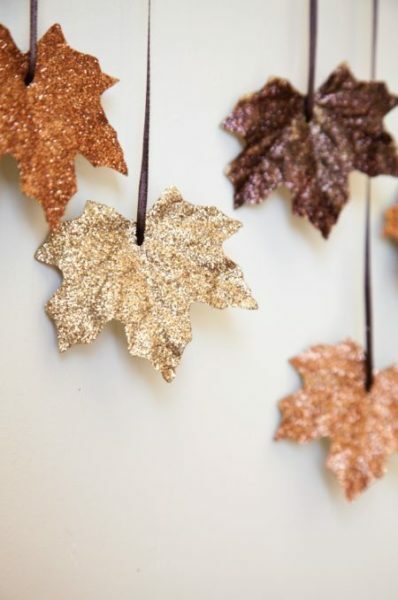 I love working with glitter and this Falling Leaves Garland got my attention. You can hang a string of leaves in a doorway or window for a festive look. 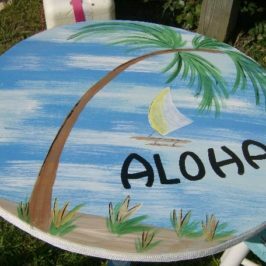 You can get the supply list and instructions on how to make them yourself at House Of Jade. Mason jars are HOT HOT HOT right now so I had to throw in a couple of Autumn themed mason jar craft projects. 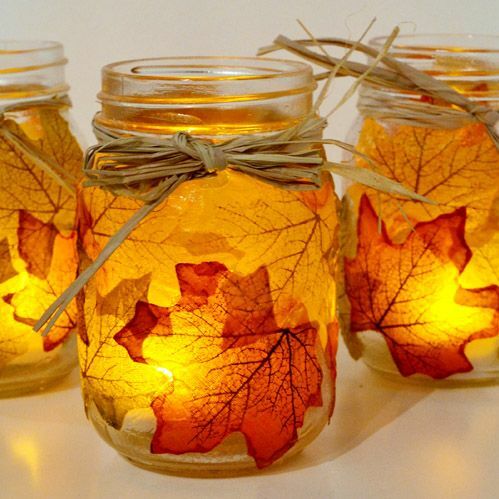 These beautiful Autumn Leaf Mason Jar Luminaries would look beautiful on any mantel or Thanksgiving Table. Just think about the fun of collecting the leaves outside will be! You can get instructions on how to make them at Spark and Chemistry. 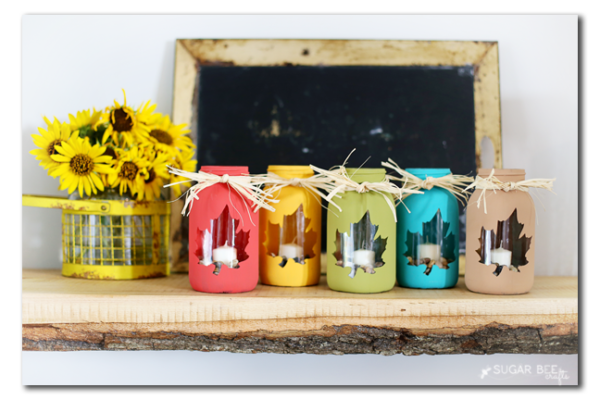 Here is another cute Fall craft project using mason jars. These Painted Fall Luminaries are easy to make and would look great lined up on a mantel or tablescape. 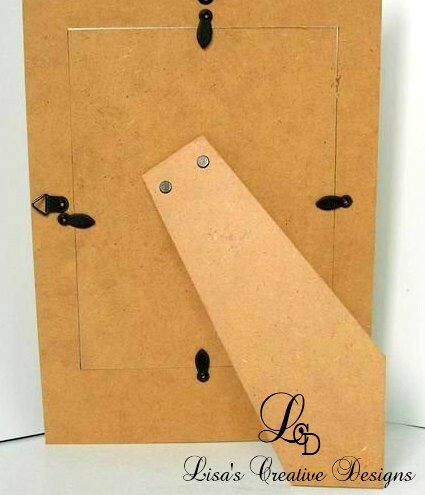 Get the DIY instructions at Sugar Bee Crafts. 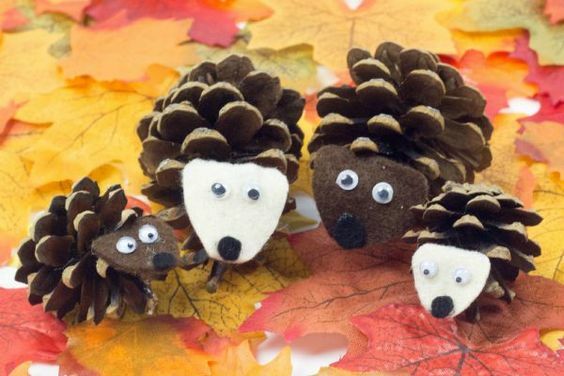 Keep the kids busy with these adorable Pine Cone Hedgehogs. You can get the instructions for making these cutie pies at Mum In The Madhouse. You can have the kids make these little guys at a Halloween party or even while you are cooking Thanksgiving dinner. 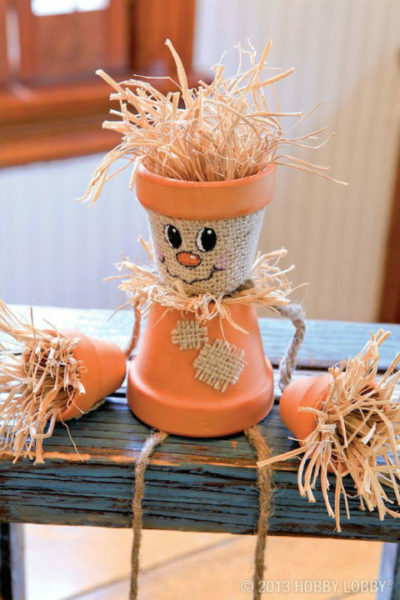 I hope these Easy Fall Crafts inspired you. Now get out there and get your craft groove on!